So Lehman is gone and Merrill is swallowed by BoA. Over the weekend, two of the four largest investment banks disappeared from the Wall Street (the fifth, Bear Sterns collapsed in March). Though many small investors may not use Merrill Lynch as their stock broker, the fall of the two big brokerage firms reminds us that there probably isn’t such thing as “too big to fail.” If the big one can go under, so can their smaller rivals, those we actually use, though there isn’t any indication any those brokers is in deep troubles (last November many, including me, got scared a little bit by E*Trade). That being said, it’s always good to be prepared, knowing whether your investments are protected or not and how they are protected, in case unexpected happens. 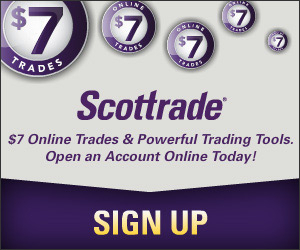 E*TRADE Clearing LLC has purchased from London insurers additional protection, commonly referred to as “excess SIPC coverage,” with an aggregate limit of $600 million to pay amounts in addition to those returned in an SIPC liquidation, provided that (1) the combined return from the Trustee distributions, SIPC, and London to any customer does not exceed $150 million, and (2) as a sub-limit, return of cash to any customer by London does not exceed $900,000. This coverage does not protect against loss of the market value of securities. A general partner, officer, or director of the firm. The beneficial owner of five percent or more of any class of equity security of the firm (other than certain nonconvertible preferred stocks). A limited partner with a participation of five percent or more in the net assets or net profits of the firm. Someone with the power to exercise a controlling influence over the management or policies of the firm. A broker or dealer or bank acting for itself rather than for its own customer or customers. Last year, I wrote a piece on this topic when E*Trade was having some serious issues because of its mortgage portfolio. Check out that post and the discussions in the following for more information. Are Stop-Loss Orders Still Safe? Is Kiplinger’s Choice of Best Online Fund Broker Any Good?